We all know that the most effective way to get more followers on Twitter is to be famous already. Just ask Justin Bieber. But, for the rest of us—be that employers, recruiters, job seekers, entrepreneurs or sales and marketing folks—who have to beaver away, hour by hour, day by day, to build our twitter following, we need to rely on the latest tactics and strategies to build our following. 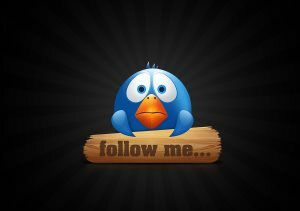 Now, there is lots of good advice out there on how to increase your twitter following, but there is such a blizzard of advice it’s hard to see the wood for the trees. This is why I thought it was worth drawing your attention to a recent first-of-its-kind study by Eric Gilbert, assistant professor in Georgia Tech’s School of Interactive Computing. They looked at over half a million tweets over 15 months, which is an almost unprecedented level of big data crunching in this field. This is why I thought this study deserved a little more attention than the average twitter advice we see available on the internet. 1. Don’t talk about yourself: Informational content attracts followers at a rate 30 times higher than content focused on the tweeter. The study found users talked about themselves in 41 percent of their tweets on average. So, what’s the takeaway for recruiters, employers and job seekers? If you are looking to attract talented candidates, clearly, being perceived as a source of jobs is a great way to grow your following, but you don’t always have jobs to tweet. So, in between your job tweets, insert informational tweets or re-tweets relating to: job seeking, career or interview advice or industry pertinent info. Job seekers, on the other hand, may need to do more than just follow others to get a follow back. If job seekers want to attract powerful, influential followers like employers and recruiters, they should tweet relevant industry information that your employers and potential hiring managers may find useful and this will increase your chance of being followed. It does sound a bit counter intuitive for job seekers not to tweet about themselves as that is what they are marketing, so at least make sure you have a fully completed profile reflecting your professional status and maybe linking to your LinkedIn profile. The study also found, unsurprisingly, that a fully completed Twitter profile did increase the perceived authenticity of your messages and did increase your rate of being followed. 2. Be happy: Twitter is mainly based on weak social ties (most followers do not know each other offline), which makes it more important to stay away from negative posts such as death, unemployment and poor health. Everyone wants to be happy, so candidates in particular should avoid using twitter to moan about interviews, employers or a failure to get jobs. People don’t want to follow negative energy. Focus on sharing positive, funny, thought-provoking industry-related news. Employers and recruiters have a natural advantage as their core message of jobs is good news. So, keep this up, but also focus on industry stats and figures such as regional, national, or international hotspots for jobs etc, or falling unemployment levels. Be a beacon of light. This one speaks for itself. I realize the findings are not completely ground breaking, but it’s interesting to see the scientific confirmation of, what many of you may have figured out for yourselves.